Presented by California State University, Desert Studies Consortium.. 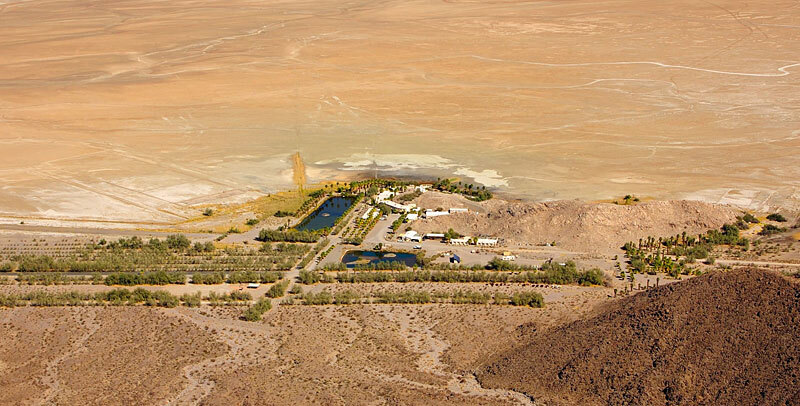 The 28h annual Desert Symposium will be held at California State University's Desert Studies Center (click here for a description of the Center) at Zzyzx, on the shores of Soda Lake south of Interstate 15 between Barstow and Baker, California. This historic site includes meeting rooms, overnight dormitories, catered meals, showers: all the amenities included in the registration cost. The symposium organizers solicit presentations on current research in archaeology, history, paleontology, geology, ecology, biological sciences, and environmental issues. Abstracts of the proceedings and a field trip guide will be published. 15–minute presentations in geology, paleontology, geomorphology, anthropology, archaeology, botany, ecology, zoology, history and multidisciplinary studies in or related to the California deserts and surrounding provinces. April 18 19, 20, 21, 2014; Presentations and posters; April 18, 19, 2013. Field Trip d April 20, 21, 2013. Themes—" Presentation -EnvnironmentalMonitoring and Reconstruction: Linking causes and biological consequences: Field Trip - "
Road guides, Abstracts and Papers are available for down load as PDF files. Click on the year below for copies.